After describing BGC-val, we use the toolkit to investigate the performance of the marine physical and biogeochemical quantities of the CMIP5 models and highlight some predictions about the future state of the marine ecosystem under a business-as-usual CO2concentration scenario (RCP8.5). Deep‐water benthic communities in the ocean are almost wholly dependent on near‐surface pelagic ecosystems for their supply of energy and material resources. Primary production in sunlit surface waters is channelled through complex food webs that extensively recycle organic material, but lose a fraction as particulate organic carbon (POC) that sinks into the ocean interior. This exported production is further rarefied by microbial breakdown in the abyssal ocean, but a residual ultimately drives diverse assemblages of seafloor heterotrophs. Advances have led to an understanding of the importance of size (body mass) in structuring these communities. Here we force a size‐resolved benthic biomass model, BORIS, using seafloor POC flux from a coupled ocean‐biogeochemistry model, NEMO‐MEDUSA, to investigate global patterns in benthic biomass. BORIS resolves 16 size classes of metazoans, successively doubling in mass from approximately 1 μg to 28 mg. Simulations find a wide range of seasonal responses to differing patterns of POC forcing, with both a decline in seasonal variability, and an increase in peak lag times with increasing body size. However, the dominant factor for modelled benthic communities is the integrated magnitude of POC reaching the seafloor rather than its seasonal pattern. Scenarios of POC forcing under climate change and ocean acidification are then applied to investigate how benthic communities may change under different future conditions. Against a backdrop of falling surface primary production (−6.1%), and driven by changes in pelagic remineralization with depth, results show that while benthic communities in shallow seas generally show higher biomass in a warmed world (+3.2%), deep‐sea communities experience a substantial decline (−32%) under a high greenhouse gas emissions scenario. Our results underscore the importance for benthic ecology of reducing uncertainty in the magnitude and seasonality of seafloor POC fluxes, as well as the importance of studying a broader range of seafloor environments for future model development. Aerosol processes and, in particular, aerosol‐cloud interactions cut across the traditional physical‐Earth system boundary of coupled Earth system models and remain one of the key uncertainties in estimating anthropogenic radiative forcing of climate. Here we calculate the historical aerosol effective radiative forcing (ERF) in the HadGEM3‐GA7 climate model in order to assess the suitability of this model for inclusion in the UK Earth system model, UKESM1. The aerosol ERF, calculated for the year 2000 relative to 1850, is large and negative in the standard GA7 model leading to an unrealistic negative total anthropogenic forcing over the twentieth century. We show how underlying assumptions and missing processes in both the physical model and aerosol parameterizations lead to this large aerosol ERF. A number of model improvements are investigated to assess their impact on the aerosol ERF. These include an improved representation of cloud droplet spectral dispersion, updates to the aerosol activation scheme, and black carbon optical properties. One of the largest contributors to the aerosol forcing uncertainty is insufficient knowledge of the preindustrial aerosol climate. We evaluate the contribution of uncertainties in the natural marine emissions of dimethyl sulfide and organic aerosol to the ERF. The combination of model improvements derived from these studies weakens the aerosol ERF by up to 50% of the original value and leads to a total anthropogenic historical forcing more in line with assessed values. Mulcahy, J. P., Jones, C., Sellar, A., Johnson, B., Boutle, I. A., Jones, A., et al. (2018). Improved aerosol processes and effective radiative forcing in HadGEM3 and UKESM1. 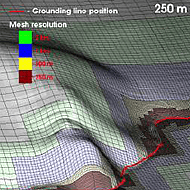 Journal of Advances in Modeling Earth Systems, 10, 2786–2805. https://doi.org/10.1029/2018MS001464. A new climate model, HadGEM3 N96ORCA1, is presented that is part of the GC3.1 configuration of HadGEM3. N96ORCA1 has a horizontal resolution of ~135 km in the atmosphere and 1° in the ocean and requires an order of magnitude less computing power than its medium‐resolution counterpart, N216ORCA025, while retaining a high degree of performance traceability. Scientific performance is compared to both observations and the N216ORCA025 model. N96ORCA1 reproduces observed climate mean and variability almost as well as N216ORCA025. Patterns of biases are similar across the two models. In the northwest Atlantic, N96ORCA1 shows a cold surface bias of up to 6 K, typical of ocean models of this resolution. The strength of the Atlantic meridional overturning circulation (16 to 17 Sv) matches observations. In the Southern Ocean, a warm surface bias (up to 2 K) is smaller than in N216ORCA025 and linked to improved ocean circulation. Model El Niño/Southern Oscillation and Atlantic Multidecadal Variability are close to observations. Both the cold bias in the Northern Hemisphere (N96ORCA1) and the warm bias in the Southern Hemisphere (N216ORCA025) develop in the first few decades of the simulations. 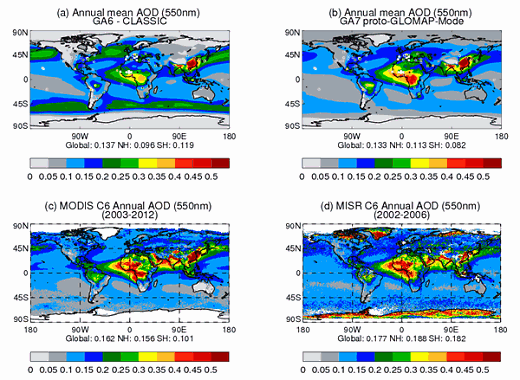 As in many comparable climate models, simulated interhemispheric gradients of top‐of‐atmosphere radiation are larger than observations suggest, with contributions from both hemispheres. HadGEM3 GC3.1 N96ORCA1 constitutes the physical core of the UK Earth System Model (UKESM1) and will be used extensively in the Coupled Model Intercomparison Project 6 (CMIP6), both as part of the UK Earth System Model and as a stand‐alone coupled climate model. Kuhlbrodt, T., Jones, C. G., Sellar, A.,Storkey, D., Blockley, E., Stringer, M., et al. (2018). The low-resolution version of HadGEM3 GC3.1: Development and evaluation for global climate. Journal of Advances in Modeling Earth Systems, 10, 2865–2888. https://doi.org/10.1029/2018MS001370. Disturbance of vegetation is a critical component of land cover, but is generally poorly constrained in land surface and carbon cycle models. In particular, land-use change and fire can be treated as large-scale disturbances without full representation of their underlying complexities and interactions. Here we describe developments to the land surface model JULES (Joint UK Land Environment Simulator) to represent land-use change and fire as distinct processes which interact with simulated vegetation dynamics. We couple the fire model INFERNO (INteractive Fire and Emission algoRithm for Natural envirOnments) to dynamic vegetation within JULES and use the HYDE (History Database of the Global Environment) land cover dataset to analyse the impact of land-use change on the simulation of present day vegetation. We evaluate the inclusion of land use and fire disturbance against standard benchmarks. Using the Manhattan metric, results show improved simulation of vegetation cover across all observed datasets. Overall, disturbance improves the simulation of vegetation cover by 35 % compared to vegetation continuous field (VCF) observations from MODIS and 13 % compared to the Climate Change Initiative (CCI) from the ESA. Biases in grass extent are reduced from −66 % to 13 %. Total woody cover improves by 55 % compared to VCF and 20 % compared to CCI from a reduction in forest extent in the tropics, although simulated tree cover is now too sparse in some areas. Explicitly modelling fire and land use generally decreases tree and shrub cover and increases grasses. The results show that the disturbances provide important contributions to the realistic modelling of vegetation on a global scale, although in some areas fire and land use together result in too much disturbance. This work provides a substantial contribution towards representing the full complexity and interactions between land-use change and fire that could be used in Earth system models. Burton, C., Betts, R., Cardoso, M., Feldpausch, T. R., Harper, A., Jones, C. D., Kelley, D. I., Robertson, E., and Wiltshire, A.: Representation of fire, land-use change and vegetation dynamics in the Joint UK Land Environment Simulator vn4.9 (JULES), Geosci. Model Dev., 12, 179-193, https://doi.org/10.5194/gmd-12-179-2019, 2019. To predict the impacts of climate change it is essential to understand how anthropogenic change alters the balance between atmosphere, ocean, and terrestrial reservoirs of carbon. It has been estimated that natural atmospheric concentrations of CO2 are almost 200 ppm lower than they would be without the transport of organic material produced in the surface ocean to depth, an ecosystem service driven by mechanisms collectively referred to as the biological carbon pump. Here we quantify potential reductions in carbon sequestration fluxes in the North Atlantic Ocean through the biological carbon pump over the twenty-first century, using two independent biogeochemical models, driven by low and high IPCC AR5 carbon emission scenarios. The carbon flux at 1000 m (the depth at which it is assumed that carbon is sequestered) in the North Atlantic was estimated to decline between 27 and 43% by the end of the century, depending on the biogeochemical model and the emission scenario considered. In monetary terms, the value of this loss in carbon sequestration service in the North Atlantic was estimated to range between US$170–US$3000 billion in abatement (mitigation) costs and US$23–US$401 billion in social (adaptation) costs, over the twenty-first century. Our results challenge the frequent assumption that coastal habitats store more significant amounts of carbon and are under greater threat. We highlight the largely unrecognized economic importance of the natural, blue carbon sequestration service provided by the open ocean, which is predicted to undergo significant anthropogenic-driven change. Barange M, Butenschön M, Yool A, Beaumont N, Fernandes JA, Martin AP and Allen JI (2017) The Cost of Reducing the North Atlantic Ocean Biological Carbon Pump. Front. Mar. Sci. 3:290. doi: 10.3389/fmars.2016.00290. Dynamic global vegetation models (DGVMs) are used for studying historical and future changes to vegetation and the terrestrial carbon cycle. 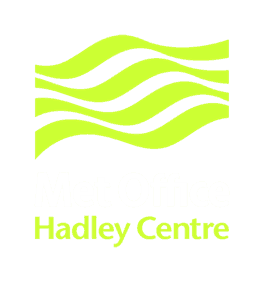 JULES (the Joint UK Land Environment Simulator) represents the land surface in the Hadley Centre climate models and in the UK Earth System Model. Recently the number of plant functional types (PFTs) in JULES was expanded from five to nine to better represent functional diversity in global ecosystems. Here we introduce a more mechanistic representation of vegetation dynamics in TRIFFID, the dynamic vegetation component of JULES, which allows for any number of PFTs to compete based solely on their height; therefore, the previous hardwired dominance hierarchy is removed. With the new set of nine PFTs, JULES is able to more accurately reproduce global vegetation distribution compared to the former five PFT version. Improvements include the coverage of trees within tropical and boreal forests and a reduction in shrubs, the latter of which dominated at high latitudes. We show that JULES is able to realistically represent several aspects of the global carbon (C) cycle. The simulated gross primary productivity (GPP) is within the range of observations, but simulated net primary productivity (NPP) is slightly too high. GPP in JULES from 1982 to 2011 is 133 Pg C yr−1, compared to observation-based estimates (over the same time period) between 123 ± 8 and 150–175 Pg C yr−1. NPP from 2000 to 2013 is 72 Pg C yr−1, compared to satellite-derived NPP of 55 Pg C yr−1 over the same period and independent estimates of 56.2 ± 14.3 Pg C yr−1. The simulated carbon stored in vegetation is 542 Pg C, compared to an observation-based range of 400–600 Pg C. Soil carbon is much lower (1422 Pg C) than estimates from measurements (> 2400 Pg C), with large underestimations of soil carbon in the tropical and boreal forests. We also examined some aspects of the historical terrestrial carbon sink as simulated by JULES. Between the 1900s and 2000s, increased atmospheric carbon dioxide levels enhanced vegetation productivity and litter inputs into the soils, while land use change removed vegetation and reduced soil carbon. The result is a simulated increase in soil carbon of 57 Pg C but a decrease in vegetation carbon of 98 Pg C. The total simulated loss of soil and vegetation carbon due to land use change is 138 Pg C from 1900 to 2009, compared to a recent observationally constrained estimate of 155 ± 50 Pg C from 1901 to 2012. The simulated land carbon sink is 2.0 ± 1.0 Pg C yr−1 from 2000 to 2009, in close agreement with estimates from the IPCC and Global Carbon Project. Harper, A. B., Wiltshire, A. J., Cox, P. M., Friedlingstein, P., Jones, C. D., Mercado, L. M., Sitch, S., Williams, K., and Duran-Rojas, C.: Vegetation distribution and terrestrial carbon cycle in a carbon cycle configuration of JULES4.6 with new plant functional types, Geosci. Model Dev., 11, 2857-2873, https://doi.org/10.5194/gmd-11-2857-2018, 2018. “>τO3, we find it is possible to have qualitatively similar responses to factorial experiments with and without raised O3, when comparing to reported measurement time series presented in the literature. This low-parameter approach lends itself to the inclusion of ozone-induced inertial effects being incorporated in the terrestrial vegetation component of Earth system models (ESMs). Huntingford, C., Oliver, R. J., Mercado, L. M., and Sitch, S.: Technical note: A simple theoretical model framework to describe plant stomatal “sluggishness” in response to elevated ozone concentrations, Biogeosciences, 15, 5415-5422, https://doi.org/10.5194/bg-15-5415-2018, 2018. Marine dissolved organic carbon (DOC) is formed of a large number of highly diverse molecules. Depending on the environmental conditions, a fraction of these molecules may become progressively resistant to bacterial degradation and accumulate in the ocean for extended time scales. This long-lived DOC (the so-called recalcitrant DOC, RDOC) is thought to play an important role in the global carbon cycle by sequestering carbon into the ocean interior and potentially affecting the climate. Despite this, RDOC formation is underrepresented in climate models. Here we propose a model formulation describing DOC recalcitrance through two state variables: one representing the bulk DOC concentration and the other representing its degradability (κ) which varies depending on the balance between the production of ‘new’ DOC (assumed to be easily degradable) and bacterial DOC utilization assumed to leave behind more recalcitrant DOC. We propose this formulation as a means to include RDOC dynamics into climate model simulations…. The capacity of the terrestrial biosphere to sequester carbon and mitigate climate change is governed by the ability of vegetation to remove emissions of CO2 through photosynthesis. Tropospheric O3, a globally abundant and potent greenhouse gas, is, however, known to damage plants, causing reductions in primary productivity. Despite emission control policies across Europe, background concentrations of tropospheric O3 have risen significantly over the last decades due to hemispheric-scale increases in O3 and its precursors. Therefore, plants are exposed to increasing background concentrations, at levels currently causing chronic damage. Studying the impact of O3 on European vegetation at the regional scale is important for gaining greater understanding of the impact of O3 on the land carbon sink at large spatial scales. In this work we take a regional approach and update the JULES land surface model using new measurements specifically for European vegetation. Given the importance of stomatal conductance in determining the flux of O3 into plants, we implement an alternative stomatal closure parameterisation and account for diurnal variations in O3 concentration in our simulations. We conduct our analysis specifically for the European region to quantify the impact of the interactive effects of tropospheric O3 and CO2 on gross primary productivity (GPP) and land carbon storage across Europe. A factorial set of model experiments showed that tropospheric O3 can suppress terrestrial carbon uptake across Europe over the period 1901 to 2050. By 2050, simulated GPP was reduced by 4 to 9% due to plant O3 damage and land carbon storage was reduced by 3 to 7%. The combined physiological effects of elevated future CO2 (acting to reduce stomatal opening) and reductions in O3 concentrations resulted in reduced O3 damage in the future. This alleviation of O3 damage by CO2-induced stomatal closure was around 1 to 2% for both land carbon and GPP, depending on plant sensitivity to O3. Reduced land carbon storage resulted from diminished soil carbon stocks consistent with the reduction in GPP. Regional variations are identified with larger impacts shown for temperate Europe (GPP reduced by 10 to 20%) compared to boreal regions (GPP reduced by 2 to 8%). These results highlight that O3 damage needs to be considered when predicting GPP and land carbon, and that the effects of O3 on plant physiology need to be considered in regional land carbon cycle assessments. Oliver, R. J., Mercado, L. M., Sitch, S., Simpson, D., Medlyn, B. E., Lin, Y.-S., and Folberth, G. A.: Large but decreasing effect of ozone on the European carbon sink, Biogeosciences, 15, 4245-4269, https://doi.org/10.5194/bg-15-4245-2018, 2018.